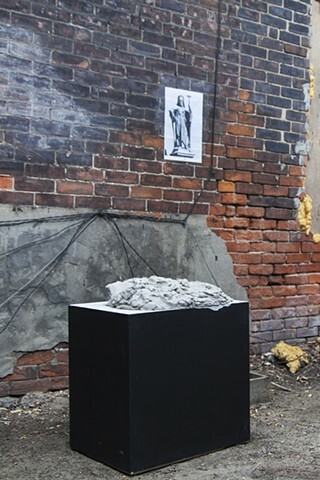 Reflecting an interest in the impact of shared memory and the politics of the gesture on a more intimate scale, Flesh Marble Leaf and Twig presents new works by Toronto based artist Derek Liddington. 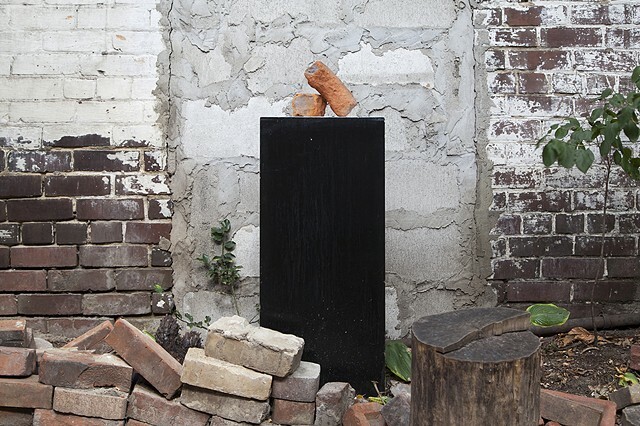 In these works, Liddington worked with Chris Heller, Ulysses Castellanos and Cheyanne Turions to create a single object out of clay based on conversations that develop a shared memory. 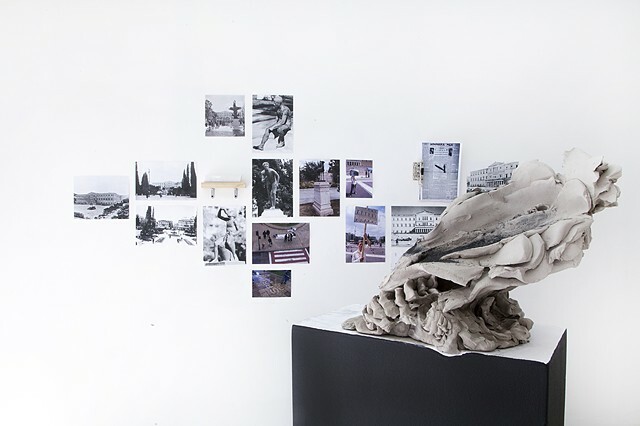 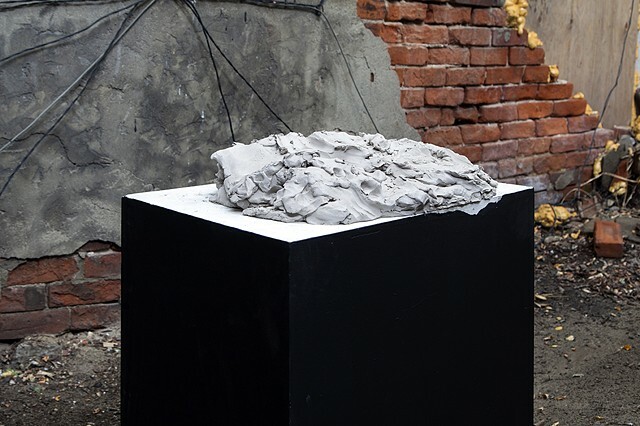 Forms are determined through a collaborative, and conversational exchange of rubbing, bending, pushing, clawing and kneading, rendering a physical record for the duration of the conversation. 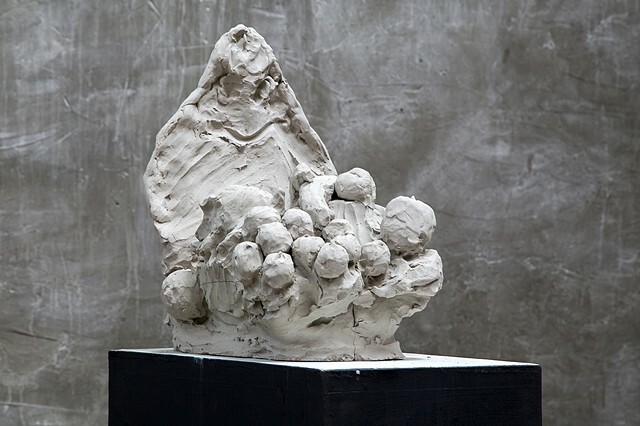 The collaborators, including the artist, become actors in a play, their performance captured in the crevices and gesture embossed on the surface of the clay. 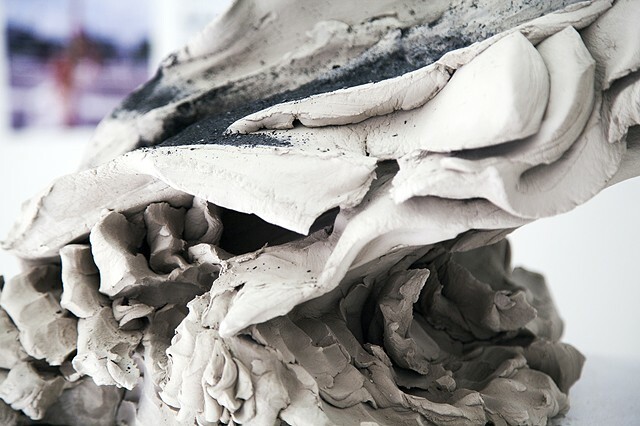 100 pounds of clay is kneaded with the imperfect and often unsure traces of democratic marks. 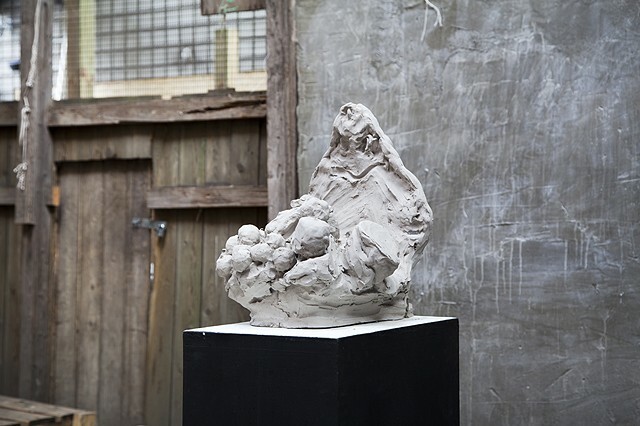 As the exhibition progresses the clay in the interior of the space will dry, compress and crack while the outdoor sculpture will be allowed to decay in response to the elements. 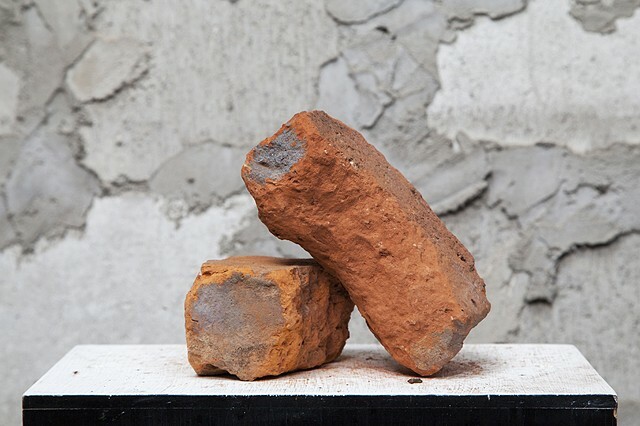 When two objects are smashed together it is inevitable that they become dependent on each other in order to be understood by those not witness to the violence.